The engine was bough new in 1990 (still sealed) imported directly from Japan. It was installed during the build. Unused until launch in 2009. Designed as a salt water cooled engine Installed in Vessell with a polar heat exchanger so only fresh water has ever gone through this engine. The Roberts 36 design is by Australian born designer Bruce Roberts, and can be built in steel or aluminium, normally cutter or ketch rigged. Around 200 have been built around the world, and they have a good reputation as a solid long-distance cruising yacht. There are a number of deck/coachroof variations on the design, this one is a steel cutter rigged sloop having an aft and deep cockpit. A substantial go anywhere sailing Yacht built to a high standard with great detailing, with only 153 hours on the engine. Built by its current fastidious owner from 1990 until its launch in 2009 following a full Survey. is even at 12 Tonnes capable of 7 knots. 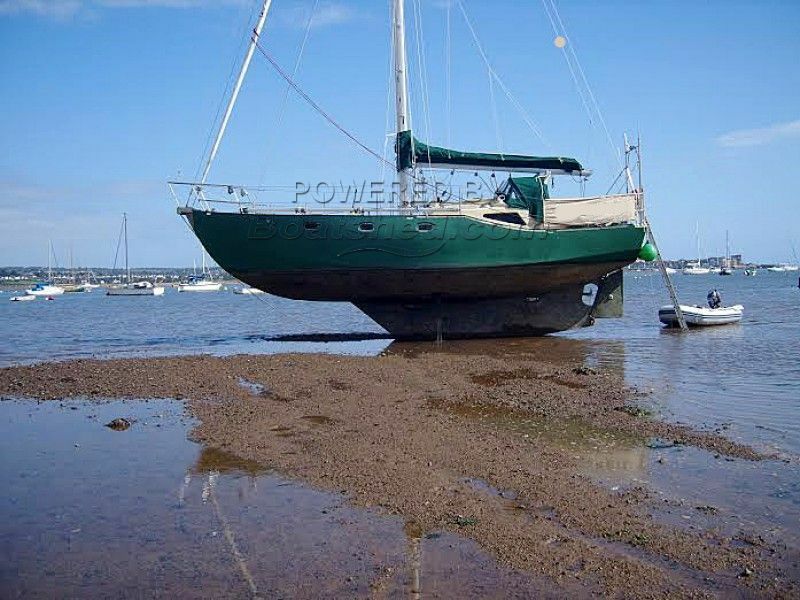 This Yacht would be fully appreciated by another owner who appreciates great workmanship in a safe sailing environment, for coastal hopping or crossing oceans as a livaboard. This Bruce Roberts 36 has been personally photographed and viewed by Phil Key of Boatshed Torquay. Click here for contact details.